Gary Lasley is currently in his third term as Secretary/Treasurer of American Federation of Musicians Local 47. He is also a delegate to the Los Angeles County Federation of Labor, the California Labor Federation, and Treasurer of the Los Angeles chapter of the Labor and Employment Relations Association (LERA). For ten years he served on the Executive Board of the Regional Orchestra Players Association (ROPA), a player conference of the AFM. As a musician, he received a Bachelor of Music in double bass from the University of Southern California. 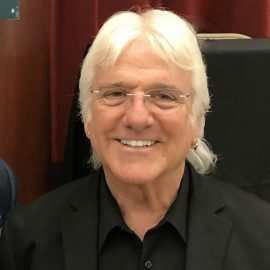 His career included international tours with the Mantovani Orchestra, Yanni, the Three Tenors and Andrea Bocelli; twenty years in the Hollywood Bowl Orchestra; countless familiar motion picture soundtracks, including Aladdin, Groundhog Day, Jingle All The Way, Ice Age, The Thomas Crown Affair, Transformers, and Enchanted; and working with artists as diverse as Peter, Paul & Mary, The Kingston Trio, Doc Severinsen, Garth Brooks, Stevie Wonder, The Beach Boys, Earth, Wind, & Fire, Liza Minnelli, George Martin, Donna Summers, Beck, Randy Newman, and Josh Groban.